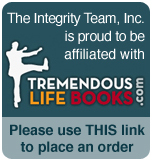 WHAT IS INTEGRITY SELLING® FOR SERVICE PROFESSIONALS? Integrity Selling® for Service Professionals (ISSP) is an interactive behavior change process that will enable your service professionals to establish a competitive advantage. ISSP will increase your service teams’ commitment to being customer needs-focused by developing service-selling attitudes, beliefs, values, skills and behaviors that will improve their ability to both create and deliver value for customers. Regardless of their role, any employee can positively impact customer interactions with better teamwork and the ability to develop deeper relationships. But the traits and tools that make this possible cannot be learned intellectually, they must be developed experientially. Foundations  A one-day seminar to learn a customer needs-focused communication system AID,Inc® and an easy to use Behavior Styles® language to identify how and why people think, act, and communicate differently. Accelerators  Six monthly advanced sessions for ongoing management reinforcement and coaching. * Two versions are available. For more information on the Performance Driver Profile version (ISSP-PDP) that provides a coaching roadmap for managers to accelerate performance improvement, contact us for details at 800-896-9090. Customer satisfaction and loyalty are possible only when everyone in the organization works with a common sense of purpose  to identify and fulfill needs, create value, and build relationships. Integrity Selling® for Service Professionals helps service-oriented teams learn the difference between Product-Focused and Needs-Focused interactions, and build the skills, attitudes, and values and traits that solve customer problems. Who are their customers and how to build loyalty. How to make a stronger positive impact. How to identify a customer’s specific needs and wants. The Six Magic Words for delivering extra value. How to prepare your mind for effective closing. To adjust or flex your own style of communication. How to identify the gaps that can cause conflict, stress and/or stifle productivity.